Single compartment with zipper closure. Simple yet useful cosmetic bag. Perfect for makeup brush , accessories, pencils and other collections. It's take a little space of your handbag. 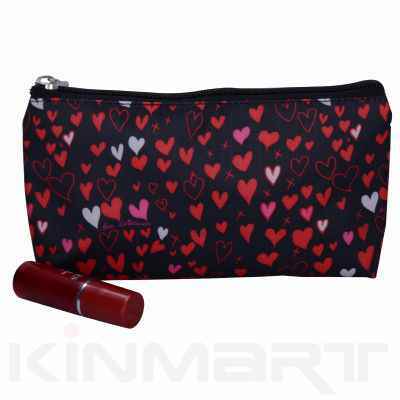 The heart printing, great promotional Mothers' Day gift bag.